This weekend was my godchild’s 7th birthday party. How time quickly pass by and the little baby that I dotted and overly photographed ever since she was born (literally when she was born, right Tere?) is now 7 and still as sweet as the first time I saw her. Just like any family fanfare her family would have, I am the default party photog. Most of the time, my friend Tere would choose a child-friendly venue where kids can play to their heart’s content. 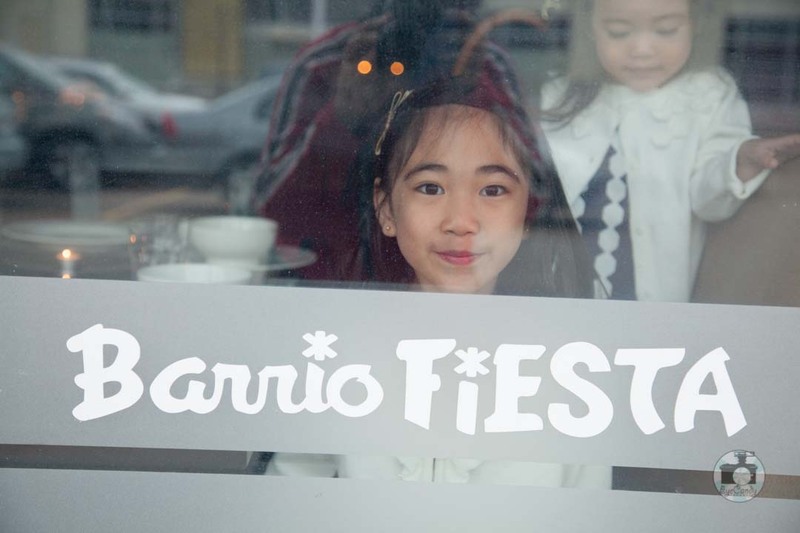 This year, she chose The Original Barrio Fiesta up at North York. A franchise import from the Philippines, I used to go to their Manila restaurants. It is an institution back home and it has always been one of the best places to have family gatherings/parties back home as they do the dishes well. Don’t mistake it for the one in Scarborough. The restaurant where we were this weekend is in Dufferin and Steeles in North York. When they initially opened as a seafood restaurant sans the pork dishes, I was not really enthused to try it as most of my Filipino favourites has pork in it. I think this is the reason for the low rating in Urbanspoon. But I say give them another chance. There is a change of heart from the management and they have decided to listen to the public clamor that every Original Barrio Fiesta should have Crispy data (deep fried pork hock with the crunchiest of pork skin). It was such a pleasant surprise to me that they finally have the dish and it does have that satisfying crunch that I miss. What was also funny was that the party that was slated for Saturday night was plagued by a black out in North York. In true Filipino fashion, we took it all in stride and partied on. It’s like a reminder of the constant scheduled blackout moments growing up in Manila, dining in candle light. Jojo, another good friend of mine, brought in his car emergency light and it was enough light for us to continue on with the kiddie games. I apologize for the lack of images of the food but after a certain hour, there is no way I can shoot it and give it justice when there is minimal light. I did like Tere’s choices for us to try: lumpia, pancit canton, crispy pata (yes! ), lechon kawali, pinakbet, sinigang na bangus and turon for dessert. That’s just about what you would see in a Filipino household if the party was held at their homes. Talking to their manager, Billy Diso, he says there is bulalo too! I think I am coming back for that. Bulalo is Filipino beef soup with clear broth, veggies and with bone marrow. It’s one of my most favourite soups growing up and I just have to taste how that one goes at The Original Barrio Fiesta. I might just have that piece of Manila back right here at North York. I know how to cook it myself but sometimes when you feel lazy but still want instant gratification, it would help if you would find one where you can pacify your cravings easily.